443 Greenwich, a brick book bindery turned luxury apartments, boasts a magnet of a-list and celebrity tenants. Contractors on the project worked to retain rustic elements of the original book binding factory while modernizing the building to appeal to elite paparazzi prey. Richard Cantor’s brokerage, Cantor-Pecorella, is in charge of the building’s sales and marketing, and he is not naming names when it comes to buyers and renters. 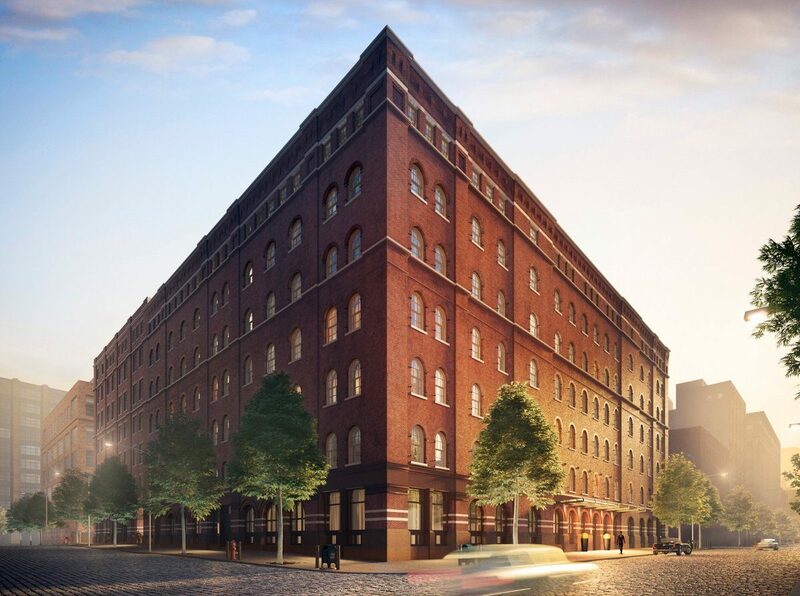 Cantor says that both the brokerage and contractors have worked hard to keep the names of buyers out of the press, but we do know that Rebel Wilson bought one of the buildings smaller units for a modest $3 million last month. Harry Styles boasts a nearly 3,000 square-foot unit, and Jake Gyllenhaal bought a unit similar to Styles’s for $8.6 million. 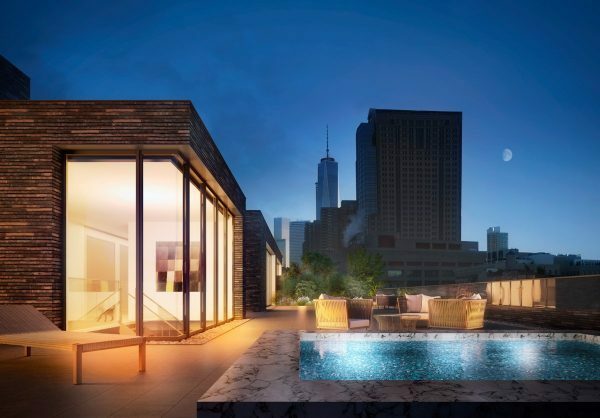 The building, developed by Nathan Berman of Metro Loft Management, was designed with the type of privacy in mind that celebrities and high-end clientele look for in a residence. Berman developed privacy zones that luxury clients would appreciate and flock to 443 Greenwich to find. One privacy zone the building is known for is its VIP elevator service. Once the function is installed, tenants in 443 Greenwich never need to share an elevator with a neighbor. Every unit has a front door access to one of the buildings 8 elevators, and the VIP service means that the elevator will not stop until the rider is out. While 443 Greenwich offers both new and common amenities to its tenants, its most groundbreaking feature is a double gated, 24/7 valet-serviced parking garage. This offer has attracted luxury clients concerned with avoiding fans and paparazzi. The first gate is a historically landmarked wrought iron gate, while the second requires an electronic pass. The neighborhood 443 Greenwich is nestled in may be trendy, but luxury buyers ares not likely to find another building with a parking garage quite as privacy-friendly as this. Developers for the property also had separation from typical city sounds in mind when designing. Most of the building’s bedrooms face the courtyard, designed by world-renowned landscape architect Hank White. Bedrooms that face the street feature solid mahogany windows with heavy glass, meaning city sounds are kept at minimum. The building’s original wooden construction was also replaced with concrete, so there is no sound transference between floors. Buyers in 443 Greenwich are there to stay. One unnamed luxury client reportedly liked the unit they originally purchased so much they bought another unit right next to it. 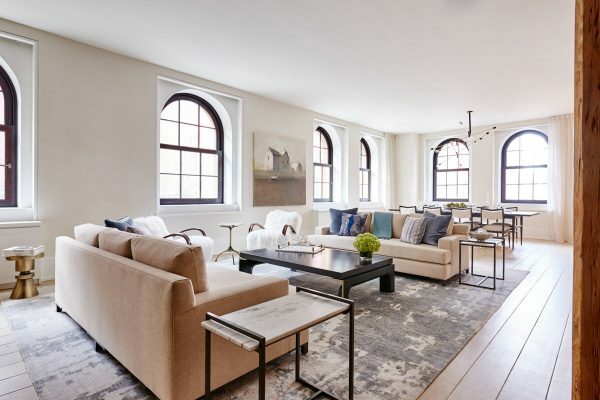 According to Cantor, celebrity buyers in the building recommend the apartments to their friends, meaning the luxury property boasts some of the most renowned celebrities of any New York residential property. One buyer spent $43 million on a penthouse after looking for five years in the neighborhood for the right home. Luxury clients flock to 443 Greenwich because of its warm interior, large outdoor space and the privacy and separation it offers from the bustle of New York City.